A couple years ago, my sister and friend came to visit. They were both here for over a week, so we had some time to explore the city. I wanted to do something different, even though the usual is pretty awesome. I also wanted them to see a little something more than what a tourist might see. We ended up having a glorious day and here is how it went. We woke up to enjoy a hefty German breakfast, while packing up a picnic lunch for a long day out. 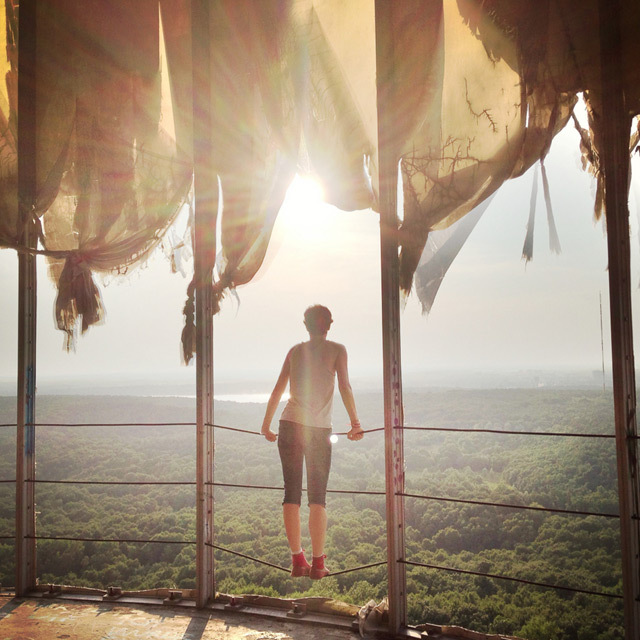 We took the S-Bahn to Heerstrasse and proceeded to walk into the Forest up to the abandoned Spy Station Teufelsberg. Back then, they didn’t have tours, but now they do, so you will want to check the website to make sure you arrive at a good time. Although, if you have to wait a little while, the forest is beautiful and the views towards Berlin are some of the best you will see. 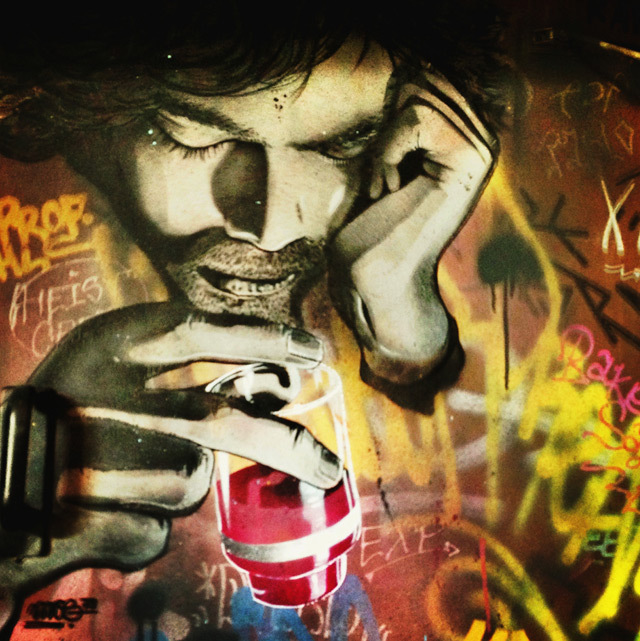 In fact, Teufelsberg is the highest point in the city, as well as my favorite place to explore Berlin’s incredible street art, all the while learning some wild history about the Cold War. 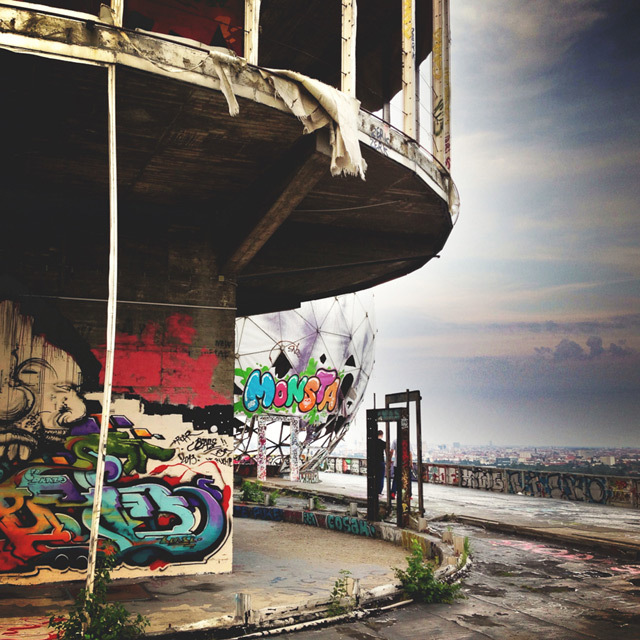 To me, Teufelsberg is a ‘don’t miss’ attraction of the city. It is also a well-known attraction, so I’m not giving anything away here. So I suggest you take your time, relax, bring some drinks & enjoy the area. But save your energy, because the next stop will take a little more physically out of you and it will also take more time. After a couple hours exploring Teufelsberg, we jumped on a bus back at Heerstrasse, (double check) you can take the M49 to the Pichelswerder stop. It is only about a 15-minute ride. Then you will walk about 10 minutes through a darling garden neighborhood to Der Bootsladen – Canoe and Kayak Shop. NOW this is important - you can both buy and rent canoes and kayaks here, but you will need to RESERVE them IN ADVANCE and possibly weeks in advance. So I suggest you make your plans early. This is a special little area of the city. There is a reason it is nicknamed the Venice of Berlin. Paddling your boat through little canals, lined with trees, typical German garden villa homes with gnomes in the yard and sweet décor is all in a day here. To find out more about exploring this area, I suggest checking out this website, it is a great resource for exploring. The boats are available for a minimum of 2 hours, but I suggest around 3 hours for exploring the area. Pull over in a park and have your picnic lunch, enjoy some drinks, and enjoy the sun. Of course this is a long day, so you can alternatively just go to Pichelswerder and explore both the conservation area and the lakes and canals. But with limited time visiting Berlin, doing the tour as we did is a great way to see some of the best of Berlin in a single day…as Teufelsberg and Der Bootsladen are quite close! Check the website for more information & you must call to make a reservation in advance.